Ospreys, Lilly Pads, and Geocaches, Oh My! We had another epic trip with Lowcountry Unfiltered last Saturday! The scenery on this part of Lake Marion was nothing short of spectacular, and the wildlife stunning. 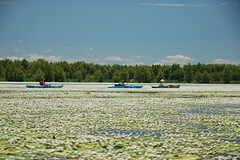 We paddled into areas completely carpeted with water lillies and lilly pads. It was amazing. 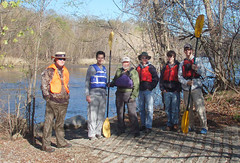 In March six paddlers from LCU took on the Savannah River from Beck's Ford Landing to Mill Stone Landing. There were quite a few surprises along the way, including wild hog hunters, a small alligator, ship wrecks, and a large gathering of Native Americans. Tom Taylor's photos are posted on his Flickr account, and a complete write-up can be found on RandomConnections. 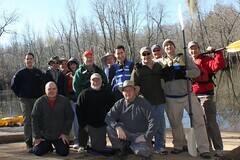 For our February trip 14 souls braved the wilds of Sparkleberry Swamp. 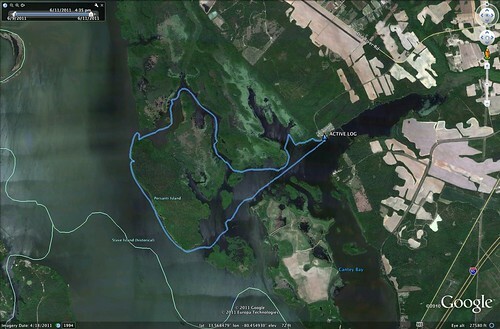 We paddled about 8 miles into the heart of the swamp and enjoyed moss-laden cypress and tupelo. Water levels were excellent, and we only go lost a couple of times. 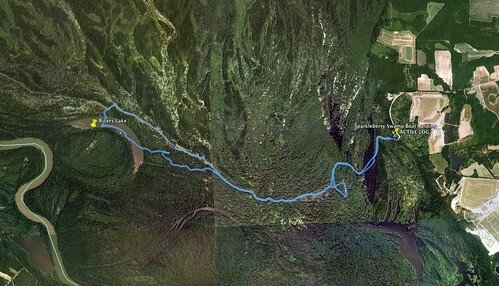 A large barred owl and other wildlife kept us company during trip, and we even found a geocache out near Risers Lake.